In the late 1980s, European information was very difficult to find in most EU Member States. Eurodesk began life in March 1990 as a small regional project to service the youth work field in Scotland. The basic idea was simple: to gather in one place all the European information relevant to young people and youth workers, and present it in an easily understandable way. In addition, it was recognised that a strategy of raising the youth field’s awareness of European issues would also be necessary if maximum use was to be made of the European information available. Funding was obtained from the European Union, central and local government in Scotland and sponsorship from a technical company (Apple Europe). 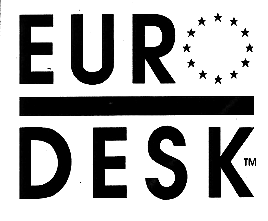 The Eurodesk service was launched in Edinburgh in March 1990. The success of the service was almost immediate with the numbers of users and the demand for services growing rapidly in a short space of time. The early Eurodesk service was clearly shaped by the real needs of the field. This client-orientated approach to information has been an important factor in the continuing development of Eurodesk. After some months, despite there being no further advertising, the use of the Eurodesk service was growing rapidly. One of the features of this growth was that more than 40% of all enquiries to Eurodesk were from outside Scotland. This unprecedented demand, especially from outside Scotland, led to a cooperation strategy, whereby selected partner organisations in the other 3 provinces of the United Kingdom (England, Northern Ireland and Wales) agreed to deliver identical services to young people and youth workers in their areas. This approach had implications for the quality of information and services delivered to the public, effective information management, efficient communication and development of appropriate training. From 1991 to 1994 the delivery of Eurodesk services was run in the UK as a network activity across the 4 provinces, with the network coordination based in Edinburgh. In 1994, at the request of the European Commission, a presentation of the UK model was made in Brussels to representatives of youth ministries from 7 Member States. The result of this meeting was a pilot project to examine the feasibility of whether the Eurodesk model was flexible enough to be developed in other countries, where different situations, structures and information environments existed. 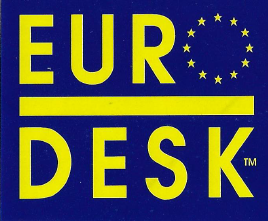 By June 1995, 7 national Eurodesk units had been successfully established in Denmark, France, Ireland, Luxembourg the Netherlands, Portugal, and Spain. Eurodesk in Edinburgh was asked to coordinate the extension of this model of European information management to the rest of the European Union Member States, and, eventually, to all the countries participating as full partners in the EU’s YOUTH programme. 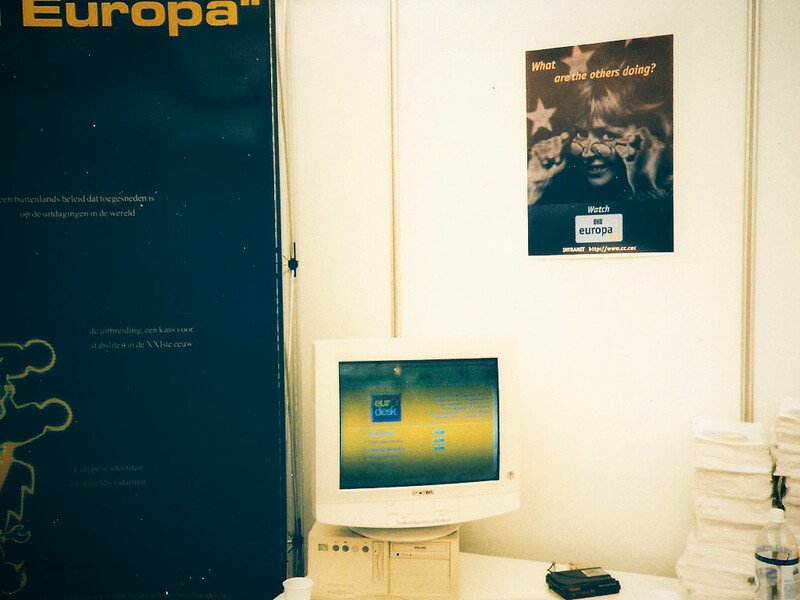 After this successful pilot phase, the Commission requested the setting up of a European network of Eurodesk services throughout the EU Member States in order to consolidate this service to the youth field in 1995. 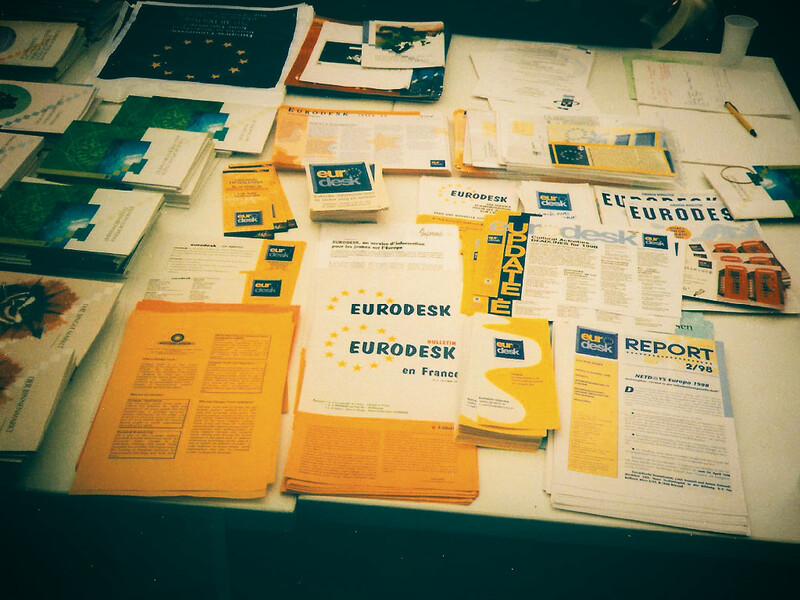 In 1996, a full-time research and coordination unit - the Eurodesk Brussels Link - was established in Brussels to support the national partners in providing their services to the public. The chronological stages of the expansion of the Eurodesk Network can be found on the Eurodesk website. In 1998, an International Association (Eurodesk AISBL) was created under Belgian Law by the Eurodesk national partners to give a legal status to the Brussels office, thereby allowing it to receive financial support directly from the European Commission, rather than indirectly through one of the national partners. In 2004, Eurodesk network was designated as one of the support structures under the EU’s Youth programme. This decision altered the mechanism for the European Commission’s funding of the Eurodesk network and offered a greater stability to the funding process for national partners and for the Eurodesk Brussels Link. In 2004, Eurodesk worked with the European Commission and launched the European Youth Portal. The upcoming years brought many new initiatives (the SYTYKIA, the HYHO, the Right2Move and the Time to Move campaign or the Eurodesk Awards), as Eurodesk was seeking to extend its outreach and inform many more young people. In 2007, the legal basis for the Commission’s Youth in Action programme (2007-2013) identified Eurodesk as one of the permanent support structures for the Programme. In March 2012, the European Commission invited the Eurodesk Network to contribute to the redevelopment of the European Youth Portal. Eurodesk Brussels Link was already working closely with the European Commission on these aspects. In 2013, the cooperation with the European Commission is renewed within the legal basis for the Commission’s Erasmus+ programme (2014-2020) which identifies Eurodesk as a support structure for the Programme. The development is continuous ever since. Currently, there are 35 countries with national Eurodesk partners supporting more than 1000 regional and local Eurodesk relays. Learn more about Eurodesk today here. Eurodesk launched in Edinburgh, Scotland. Eurodesk UK network was developed and launched. 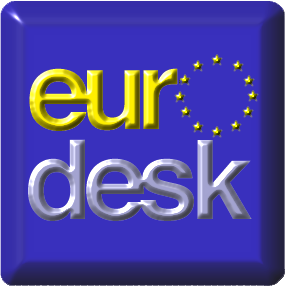 First Eurodesk database launched with the name EPICS. The database made it easy for Eurodesk personnel to store, archive and search information about international mobility opportunities in a time before search engines existed. Eurodesk was established in Denmark, France, Ireland, Luxembourg, Netherlands, Portugal and Spain. Eurodesk Brussels Link was established and the first intranet system was introduced. Eurodesk was launched in Austria. 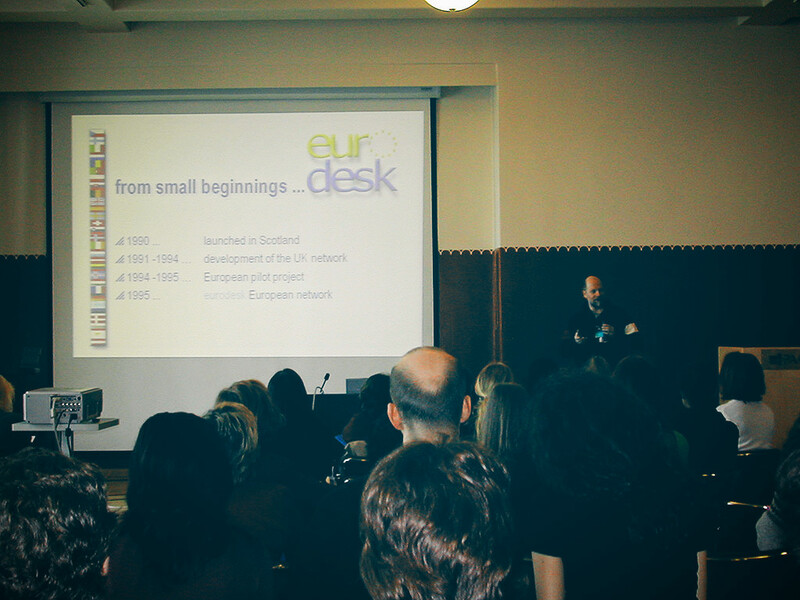 Eurodesk was launched in Cyprus, Italy, Sweden, Iceland, Germany, Finland, Belgium and Norway. The first Eurodesk website, eurodesk.org went live. Eurodesk was established in Poland, Czech Republic, Slovakia, Romania and Hungary. Eurodesk was launched in Greece. Eurodesk was established in Slovenia. Eurodesk was launched in Estonia and Bulgaria. Eurodesk was initiated in Latvia. The European Youth Portal has been launched by the European Commission. The website has been developed together with Eurodesk and the organisation contributes to it ever since. 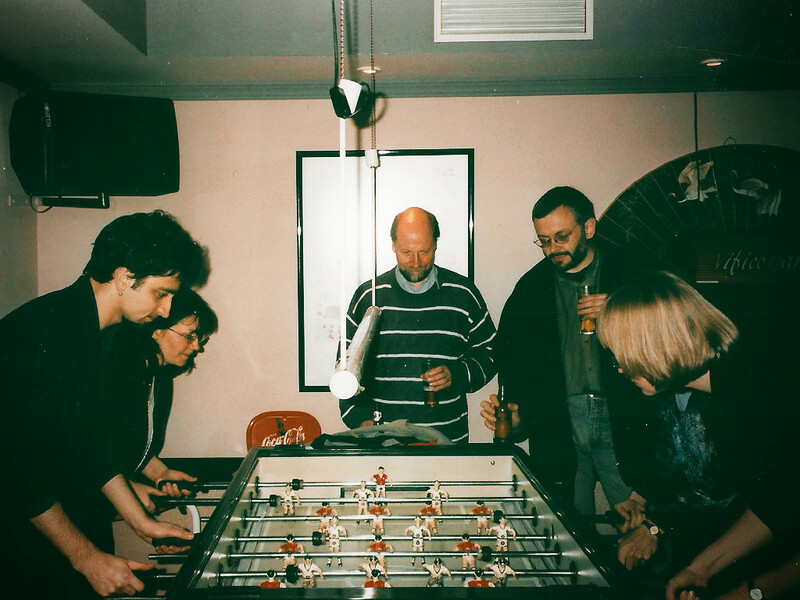 The Eurodesk Quality Group was initiated. Malta and Liechtenstein joined the Eurodesk network. 'So you think you know it all?' (SYTYKIA) campaign was launched. Eurodesk was established in Turkey. The first Eurodesk Awards was organised to highlight best practice in youth work from the Eurodesk network. 'The help yourself by helping others' (HYHO) campaign was organised. Eurodesk was launched in Switzerland. The Right2Move campaign was launched. The first Time to Move campaign was organised. It has been organised every year ever since. Macedonia joined the Eurodesk network. The Last Minute Offers website was launched in 14 countries.